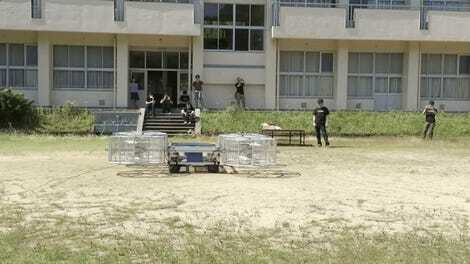 The idea is that you have one cabin that can be transferred from a flying drone to a driving car, completely autonomously. Involved in the project are Audi, Airbus, and Italdesign for the Tron-grade looks. 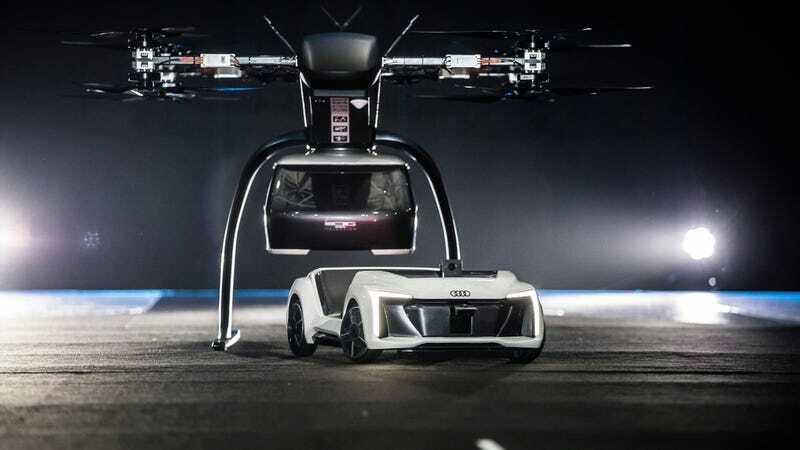 This is just a concept that Audi is showing off at a drone show—Drone Week in Amsterdam—and it’s just a miniature model, working in some degree. It flies, it connects, it drives away. What it’s not is full-scale or, like, independently tested to see if it really works or if it’s just all for show. This is a charming concept, but still a kind of gross one; drones are loud as all hell, and the vision of our cities and towns will be full of self-flying helicopters and self-driving transportation pods is a noisy and selfish one. If we’re talking madcap futurism, I’m much more a fan of floating man-o-war jellyfish blimps. Way more friendly.